Electronic Arts and EA DICE have revealed that Battlefield V, like Call of Duty: Black Ops 4, will have its own take on the battle royale genre. However, while the game will release next month, its battle royale mode won’t be available until spring 2019. 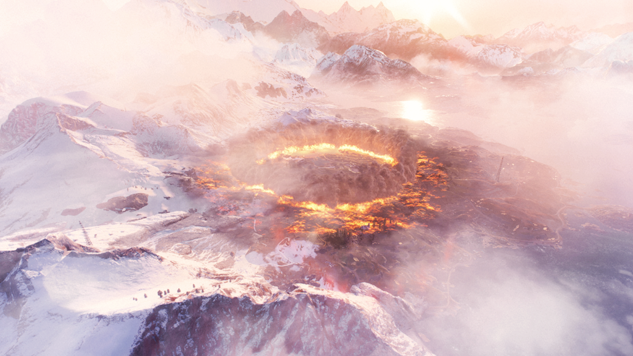 A post on the official EA website detailing post-launch plans for Battlefield V reveals that the battle royale mode is named “Firestorm,” and is planned to start in March 2019. 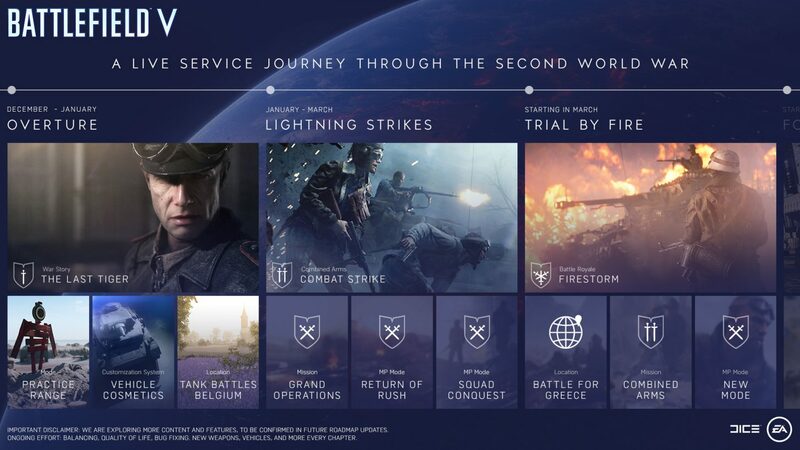 Tides of War is the name of the game’s live service, which will begin rolling out post-launch updates two weeks after the game’s release. You can expect new single-player content like “The Last Tiger,” the co-op mode “Combined Arms” and much more in the months following the game’s release. For all the details, be sure to check EA’s original post. Battlefield V comes out on Nov. 20 for PlayStation 4, Xbox One and PC.